I really like Christmas because this is the season of giving and receiving. In my case, more so, giving. 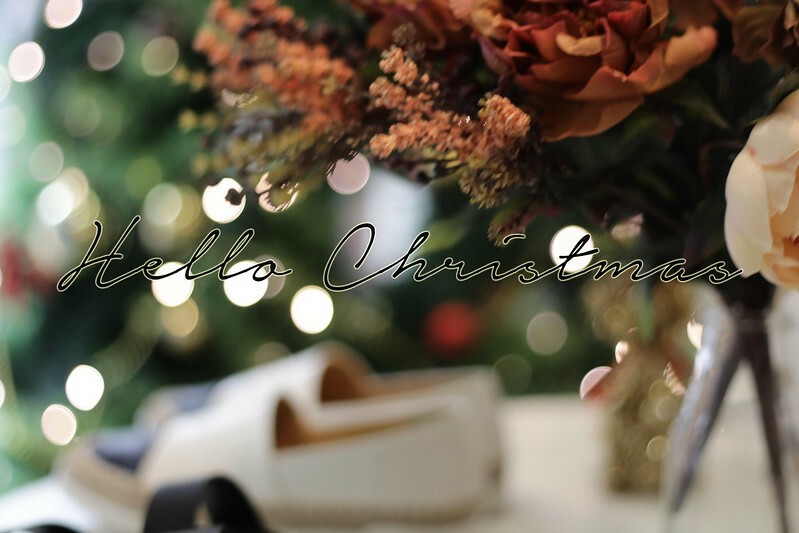 I look forward to heading out to shop for presents, scratching my head to think of what should I be getting for him/her this year that makes a meaningful gift. I like holding so many bags of purchases on my hands that I can't walk without wobbling haha. I love the tradition of wrapping mini bags of chocolates and candies during midnight then giving it away like Santa Claus the days lining up to Christmas. This tradition is something special that John and I shared ever since we knew each other. This is so special to us and it makes us happy. This year, gifting is ever important to me and I realized my thought process has significantly changed when I think of the type of gifts to get for my loved ones. As we grow older, our interests, needs and wants change so it's no wonder, I see health supplements in some of the Christmas gifts that were under the tree for gift exchange just last year. Haha, yes, I am not kidding, this has became damn real. This year, I think about gifts that can be consumed and better the recipient's health because, at our age where we all strive for career and success, we tend to neglect one thing - health. In fact, I think I am pretty much at a self-destructive age where I am constantly working, constantly finding the need to pop pills and visit the doctors'. When I put a number to that, three people closest to me worked the hardest in my honest opinion, and have little regards for their health. These three people are my fiance, John, my sister, Felicia, and my right-hand angel, Eve who works side by side with me in VGY. Health is the best gift one can receive and what can be more precious than gifting my loved ones a special something for their health? Enter the world of BRAND’S® Gift Catalogue where you can use the personality test to determine what is the suitable gift! There are plenty of ideas for gifting and you get to choose from a range of personalities from BFF to colleagues to best bro and even more. This Christmas gift guide is just so convenient and easy to use with colorful infographics with ideas for gifting. With its help, I have managed to shortlist meaningful health-related gifts. For both Felicia and Eve, both of them work tediously long hours in office and other than sacrificing eye health for one, the other suffers from irregular meal times, sigh. 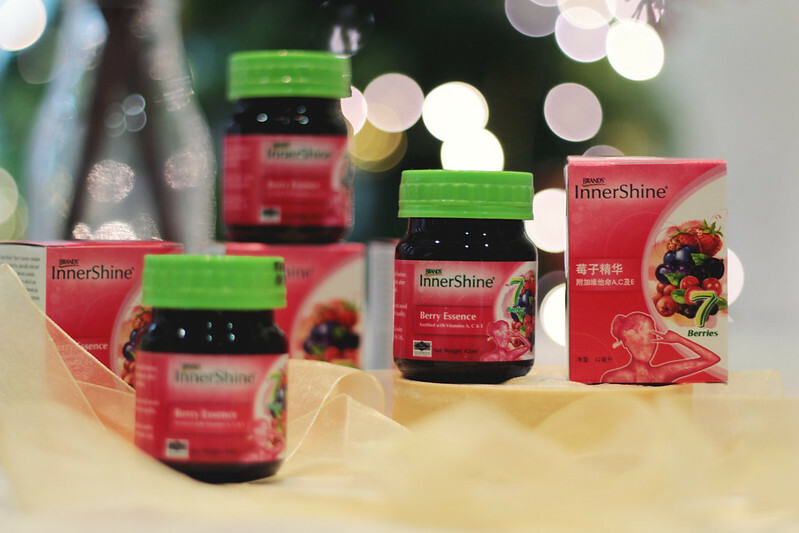 For someone like Fel, who is always facing long hours in front of the computer, I have shortlisted BRAND'S® InnerShine® Berry Essence as it contains seven premium berries, an excellent sources of antioxidant which neutralizes harmful free radicals and prevent the degeneration of eye cells. Additionally, it also contain Zinc and vitamins A, C and E which provides the required nutrients to benefit eye health. Our eyes are responsible for 80% of all the information that the brain receives, which is much more compared to the other senses. The vision once damaged due to neglect, will be irreplaceable so it is always never too early to start taking care of our eyes. Much more for people like Fel who are clocking 12 hours a day at work in front of the computer, she should be placing more importance on protecting her eye health from within. 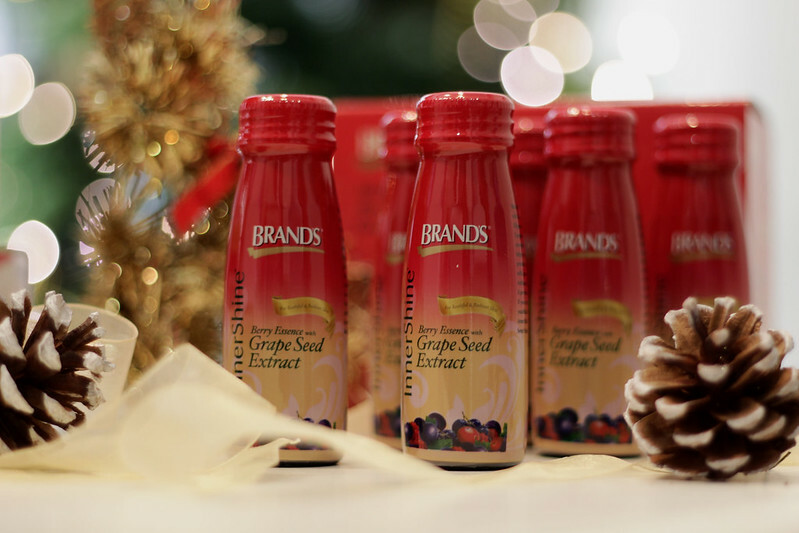 As for my right-hand angel at work, Eve, I have chosen BRAND'S® InnerShine® Dietary Fiber Mix as she is one who tends to snack in between meals due to the long working hours. 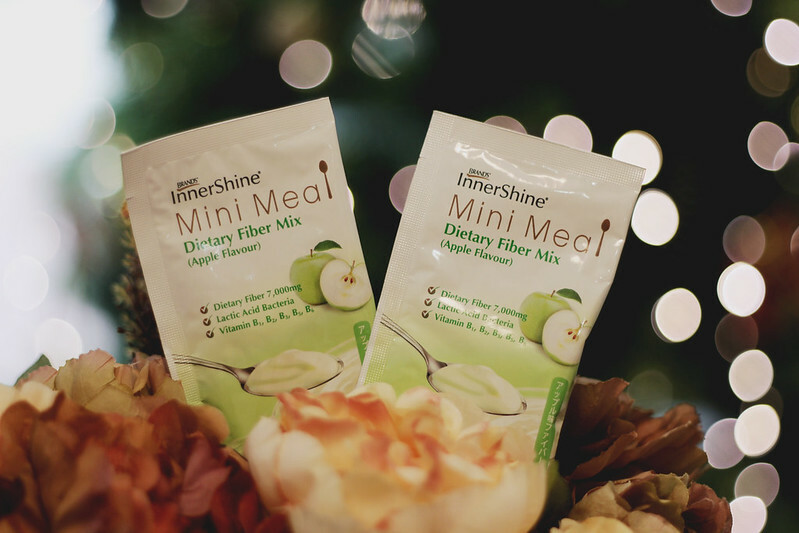 Instead of snacking on junk food, I thought it will be a great idea to gift her this Mini Meal Dietary Fiber Mix as not only is it great tasting, it can also be enjoyed in between meals like a dessert! The Mini Meal also contains a unique combination of dietary fibre, prebiotic fibre and beneficial pasteurized lactic acid bacteria to support healthy gut environment and bowel regularity. As a gift to myself, what better gift than a health supplement which can improve my skin's elasticity to keep it firm and youthful-looking. The BRAND'S® InnerShine® Berry Essence with Grape Seed Extract strengthens collagen and improves skin's elasticity to keep it firm and youth looking. 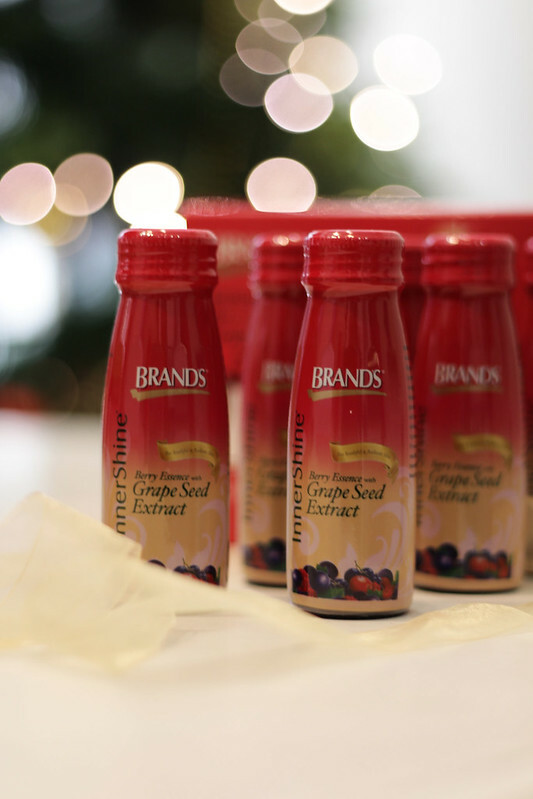 I was pleasantly surprised to read that the Grape Seed Extract contains higher antioxidant properties than Vitamin C by 20 times and Vitamin E by 50 times. Which also means....with regular consumption, youthful and radiant skin is just a drink away! 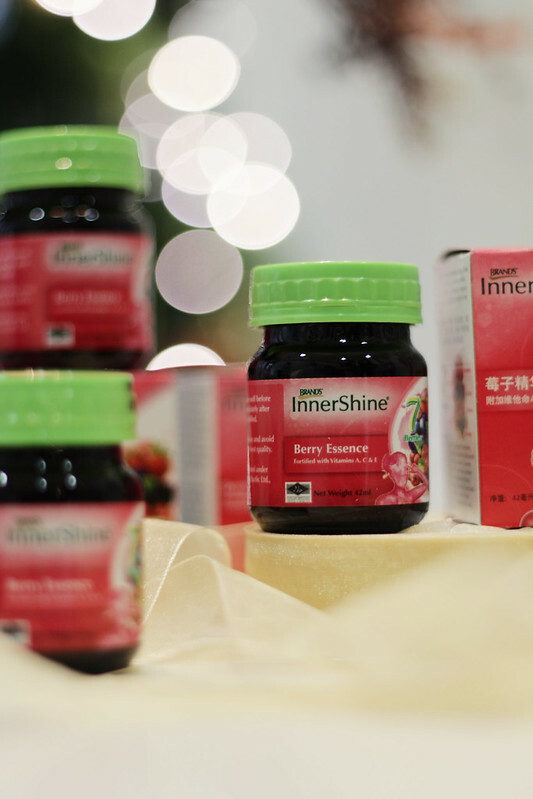 The BRAND’S® InnerShine® Berry Essence (IBE) is going for only $9.90 per pack of 4 bottles! And it is even better that it is already nicely packaged as a ready to gift present with Christmas packaging. 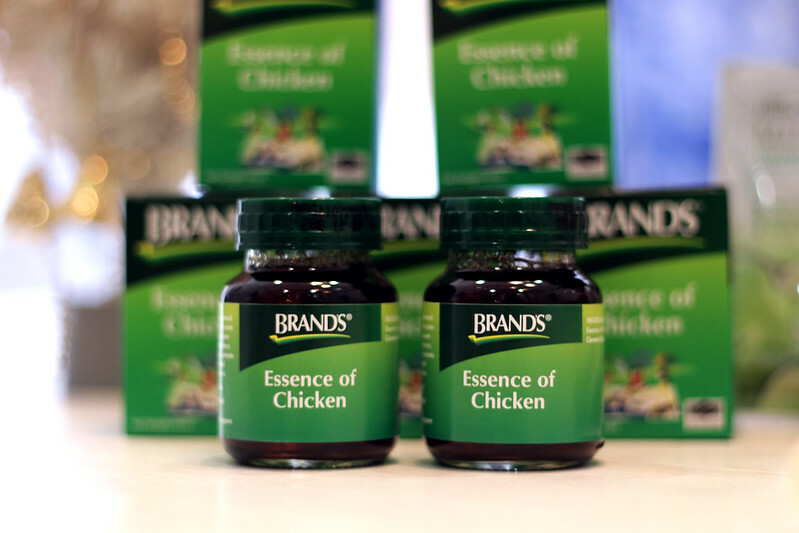 The above-mentioned products are now available for purchase in personal care stores, pharmacies and supermarkets. Visit their e-store for more information and get some ideas for Christmas gifting.